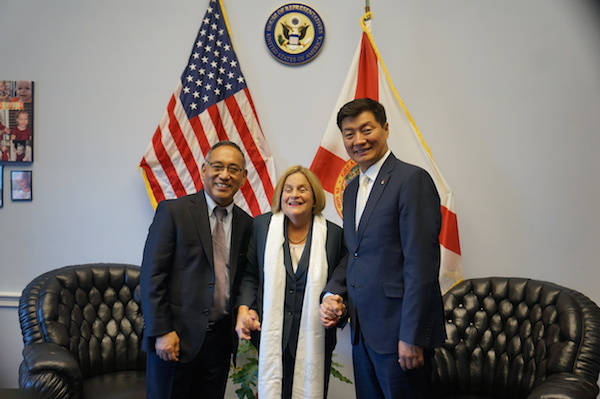 (TibetanReview.net, Apr16, 2018) – President Lobsang Sangay of the Central Tibetan Administration (CTA) at Dharamshala, India, has called on several key federal lawmakers to push Tibet related issues and delivered a university memorial during his visit to the United States beginning Apr 9, according to CTA news reports over Apr 9-14. His visit was stated to have begun with Emory University in Atlanta city of Georgia where he delivered the 2018 Harold J Berman Distinguished Lecture in Law and Religion. He has spoken on the on the topic ‘The Tibetan People’s Transition to Secular Democracy’. He has then travelled to Washington, DC, where on Apr 11 he has first called on Senator Steve Daines (R- Montana) who is a commissioner of the Congressional Executive Commission on China. The Senator was stated to have shared experiences of his recent visit to Tibet, saying he had raised various issues including religious persecution in Tibet with Chinese authorities. Dr Sangay was stated to have urged the Senator to discuss the Middle Way Policy of the CTA of seeking autonomy, not independence, for Tibet, with Chinese authorities at any opportune moment. China has already condemned this policy, calling it a disguised demand for independence and insisting there is no Tibet issue remaining to be discussed. On the following day he was reported to have joined Mr Richard Gere, Chairman of the International Campaign for Tibet Board, to call on Senator Bob Corker, Chairman of Senate Committee on Foreign Relations. He was stated to have requested the Senator to take up with the Trump administration the still-pending appointment of the administration’s Special Coordinator on Tibetan issues and to also support the passage of the Reciprocal Access to Tibet Bill, which seeks to open Tibet to US diplomats, leaders and other visitors on a reciprocal basis with visitors to the US from China. 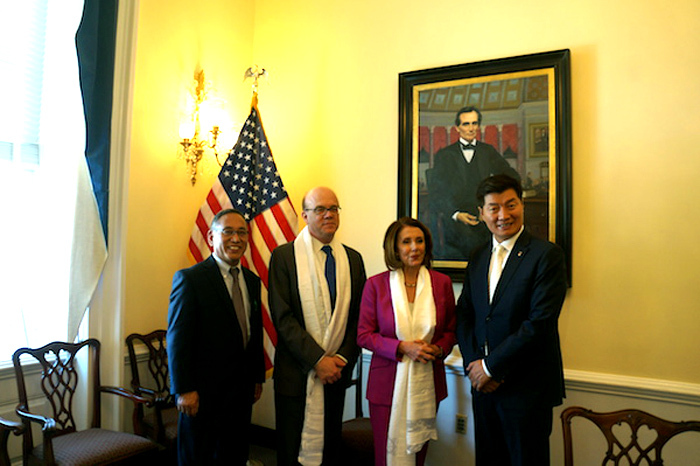 Also on Apr 12, Dr Sangay has called on House Democratic Leader Nancy Pelosi and Congressman Jim McGovern, Co-Chair of Tom Lantos Human Rights Commission. He has also called on Congresswoman Ileana Ros-Lehtinen, chair emeritus of the House committee on Foreign Affair. He was reported to have urged them also to raise the issue of the appointment of the Special Coordinator on Tibetan issues and for progress in the passage of the Reciprocal Access to Tibet Bill. 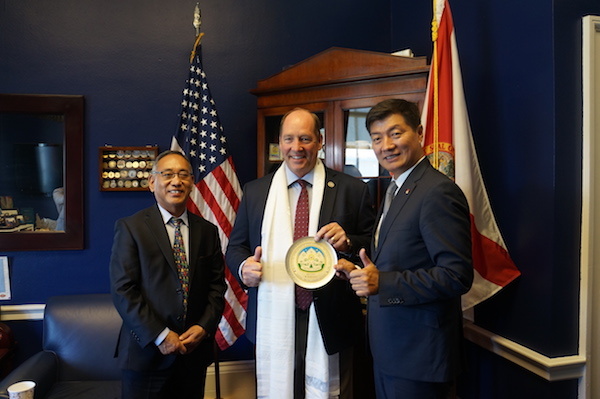 On Apr 13, Dr Sangay was stated to have called on Congressman Ted Yoho, Chairman of House Foreign Affairs Sub- Committee on East Asia, to again seek support on the two main issues. Dr Sangay is expected to be back in Dharamshala on Apr 17.